Can you really use competitions to make money? Target prizes that you want to sell on to make money! Target anything and everything and decide what to do if and when you win! I’ll be honest, I was always more of a number 4 competitioner, but I don’t think that’s necessarily the right approach! My favourite competition blogger is Super Lucky Di! Her site is definitely worth checking out if you are interested in making entering competitions a hobby and she explains why it’s not the best approach! She also has a great book which goes into everything you need to know about competitions in a lot more detail! I mean – why wouldn’t you?! It is great to get stuff for free when you know that it is coming. Do you know what is even better than that though? Winning stuff! It’s great if you know the items are coming. Equally though stuff arriving at your home that you weren’t expecting because you won it in a competition is just brilliant! It always gets me buzzing. Are you one of those people who is always saying “I never win prizes”? If so, is that because you never actually enter any? I’ve always been a “lucky” person. At school fairs growing up I would end up with tons of junk from raffles and tombolas. My dad and I used to enter competitions on the local radio station. We would be forever picking them up or receiving things in the post from them. 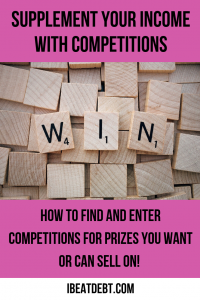 The internet has made it super easy to enter competitions in very high numbers for very little effort – gone are the days of printing out answers and posting them off or hanging on the phone for ages. Don’t get me wrong – these methods are still around – they are just not for me. Here I will outline the most common types of competitions that I like to enter. Some of these may ask you to follow additional accounts or “tag a friend”. I’m usually happy to follow a second account if the prize is decent enough, but I don’t like competitions where I have to tag friends as I don’t want to spam them. I know some people who have set up a separate Twitter account solely for these competitions. I would recommend you do the same, just remember to occasionally tweet some other stuff in between the competition tweets to break it up! Competitions like this are usually pretty easy to find – just search for #win or #competition or similar in the Twitter search box. Some companies will give you a short form which you need to complete in order to enter their competitions. Like with my Twitter account, I’ve set up an email address just for competitions. Invariably you will end up on email mailing lists (you can unsubscribe but I find it’s easier to have them all come in to the same place). You are going to have to decide how much information you are prepared to share and therefore which entry methods you are happy with. Some ask for your name and email address only, but some ask for full address, email, full name and a phone number. Just remember to read all the Ts&Cs and opt in and out of everything that you do or don’t want to be receiving. Although you will end up with a lot of emails at this email address – just remember to skim through them before deleting – you don’t want to accidentally delete an email saying you’ve won a prize and miss out! You will either love or hate Gleam and Rafflecopter. You might (like me) like one and hate the other. In short, they connect to your social media accounts and enter competitions with little effort. I find Rafflecopter more effort (for example you have to post the tweet and then get the URL and submit that whereas Gleam will do it all for you). You also don’t have to do everything it says to get entries. I tend to do the Twitter and page visit entries and leave the Facebook and subscribe to other platform options. These tools basically do the above options for you. Again it is up to you to which methods you feel comfortable using and how much personal information you want to share. I use Facebook primarily for personal things. I have a lot of friends on there and I don’t like spamming them. Therefore I only enter Facebook competitions if they are of products or brands that I already like or follow. I know a lot of people who will follow new brands to enter their competitions, but a) I don’t want to like stuff on Facebook that I am not actually interested in and b) Facebook tends to block competition entries on a regular basis. Also, Facebook rules are regularly changing with what you are and aren’t allowed to do in order to host a competition on there. For example you aren’t allowed to ask an entrant to share the competition as an entry method. You also can’t ask an entrant to like a page to enter, but you can get them to like your page’s status! Confusing or what?! is….. Competition Database You can filter by so many things, and it shows you how many you’ve entered and how many are finishing that day. It is a great way to organise your competition entries. You would be surprised how many of your favourite websites have “Win” sections on their websites – have a look there. Also keep an eye out on your social media pages. I tend not to do any competitions where you have to pay to enter. These include having to text or call a premium rate number or purchase a particular product. That is unless I was buying the product anyway. 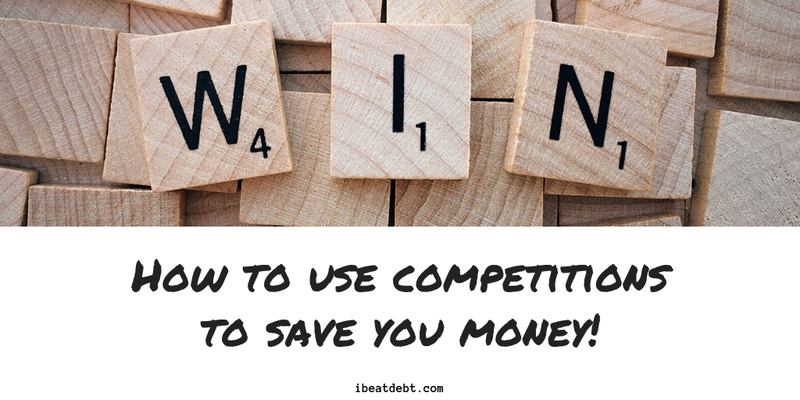 Competitions can be a great thing to help with your finances as long as you don’t rely on them solely! You can enter to win things you want or need – but don’t forget, if you win something you don’t want – you can sell it on and make some money!